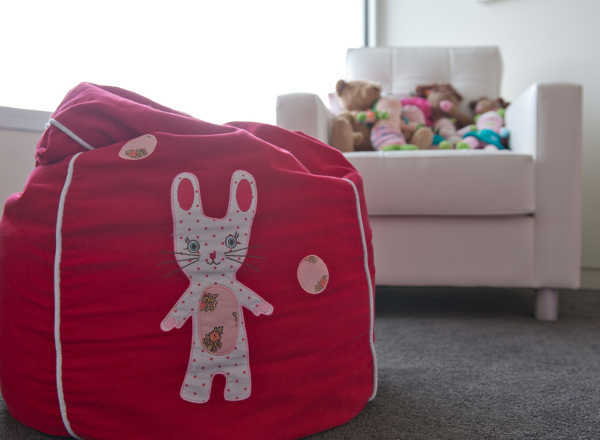 Here is the final instalment in a trio of terrific nurseries and rooms belonging to three adorable siblings. 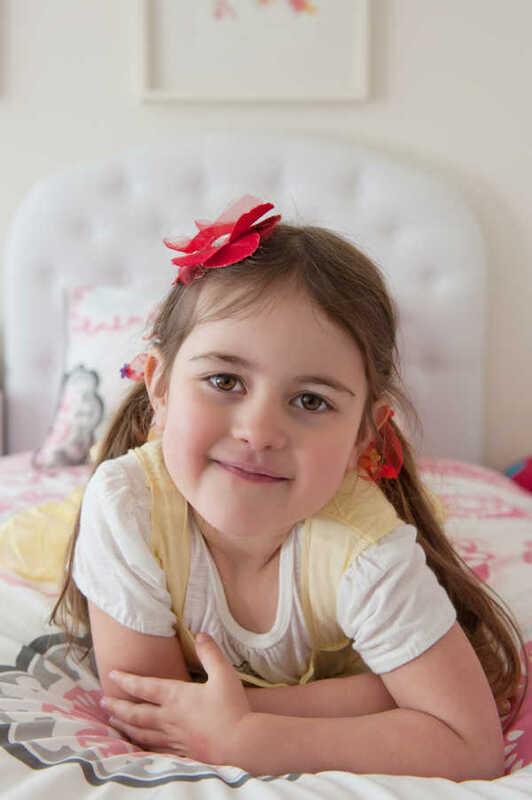 Come and meet four-year-old Lexi, and take a peek into her stunning room. This lovely space is everything a young lady would want in a room: girly yet a little bit grown up, with lots of personal touches and a whole lot of style. Lexi is the older sister of Kirby and Cleo, whose rooms we’ve shown you over the past few weeks. I started with the two paintings by Meredith Gaston. The original painting had birds but I asked if they could be changed to dogs… my dogs! I sent Meredith a picture and I had my very own custom art. I did this before knowing if I was having a boy or girl but felt the colours and the fact that one picture was a boy and one a girl would make it okay! I approached Meredith to see if she could do two small pieces and if I could then get them blown up to cover the whole wall. Meredith was excited by the prospect and created two beautiful pieces for the girls. I sat with both of them and we looked at Meredith’s website and they picked their favourite. 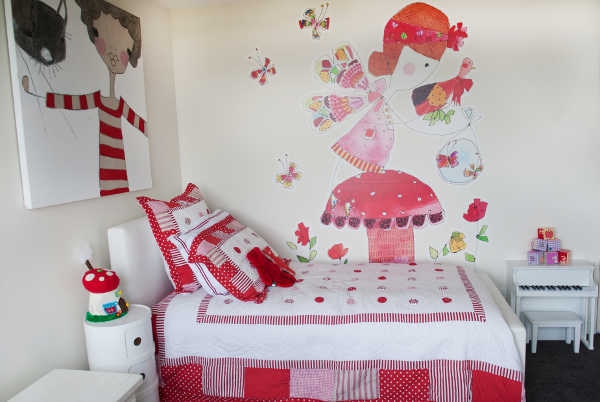 Lexi loved the fairy and Meredith did one just for her that matched the rest of her room. A local signmaker brought my vision to life and the girls just adore them. 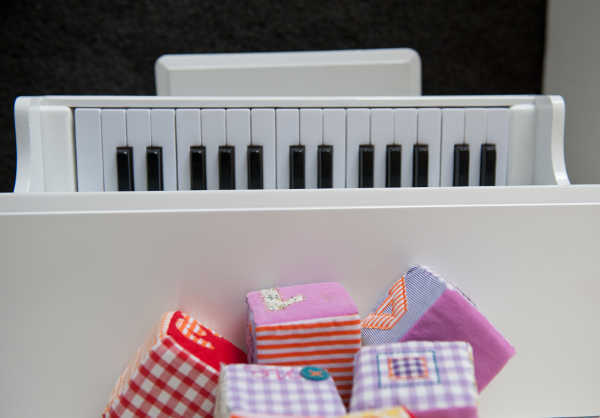 The toy chest was given to Kelly when she was in her twenties, and she had it painted white, added the letters and it’s become a beautiful toy storage box. 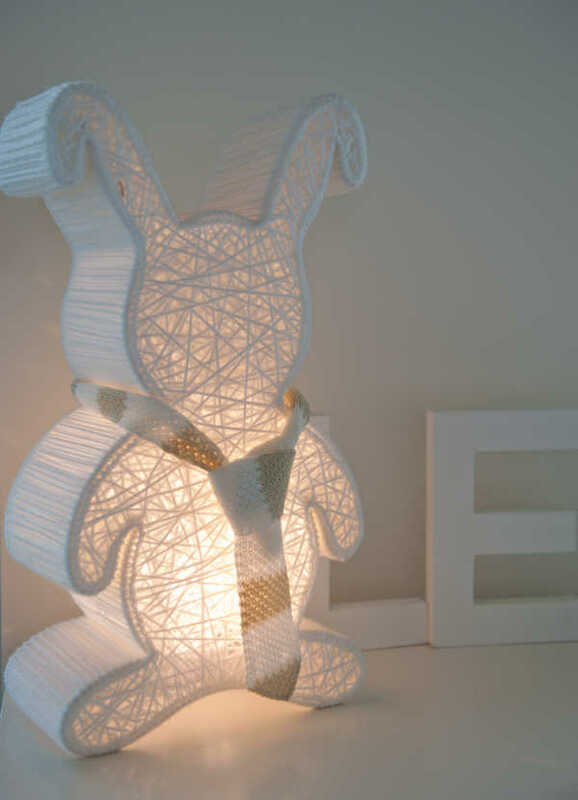 The bunny lamp was found on a trip to Ballarat and Kelly has since tried to source another, but they are no longer in production. The chair has become a piece of history for the family, with Kelly using it as a feeding chair and a reading nook for each of the children. Lexi’s bed came from Bed Shed, and has a nifty storage drawer filled with books.